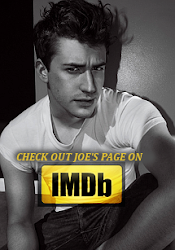 Love Joe Mazzello: First Kiss Festival News! First Kiss will be playing at the LA Comedy Shorts Film Festival in April! If you’re in the Los Angeles area, be sure to check it out. The schedule hasn’t been released yet, but you can keep checking back on the LA Comedy Fest website here for screening times, ticket info, and more about the festival.